When it Comes to Caregiving for Seniors…. Imagine being prepared so the future won’t dictate your life! so caregivers have more time and less worry. Following easy-to-use steps will organize more information than you thought possible. Preparation will allow more time for your family and/or job responsibilities. You may be surprised at how planning will reduce your stress level. Read ‘How to Use the Organizer.” Use the “To Do List” to determine where to begin. Gather the specified information from the senior. Customize the worksheets for the senior(s). These worksheets and other pertinent documents are filed into the alpha tabbed Notebook. Organization steps are accomplished. Preparation is finalized; both giving you more confidence that you have a Plan for tomorrow. 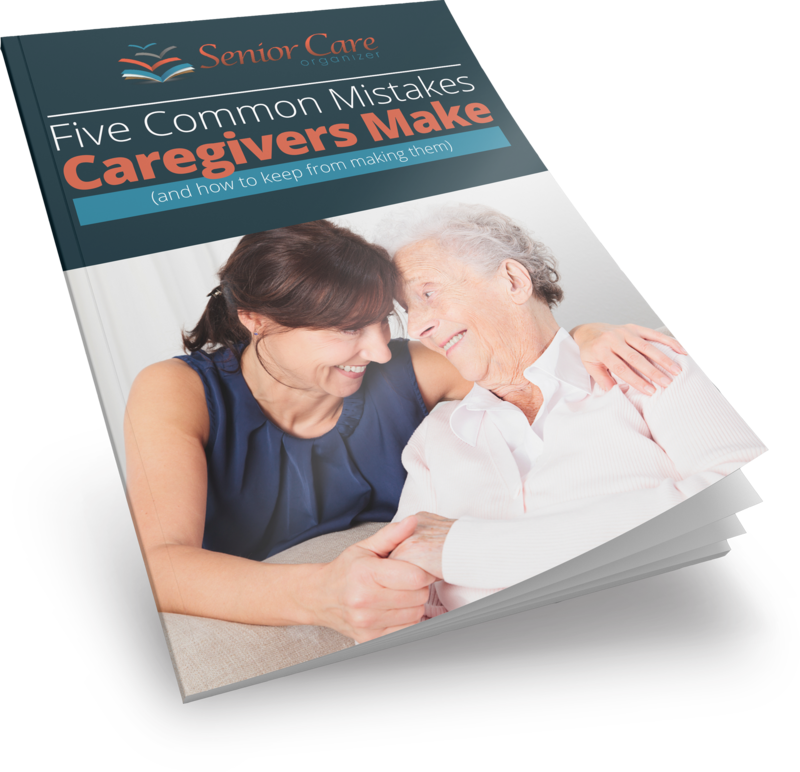 a hands-on caregiving and resource guide. 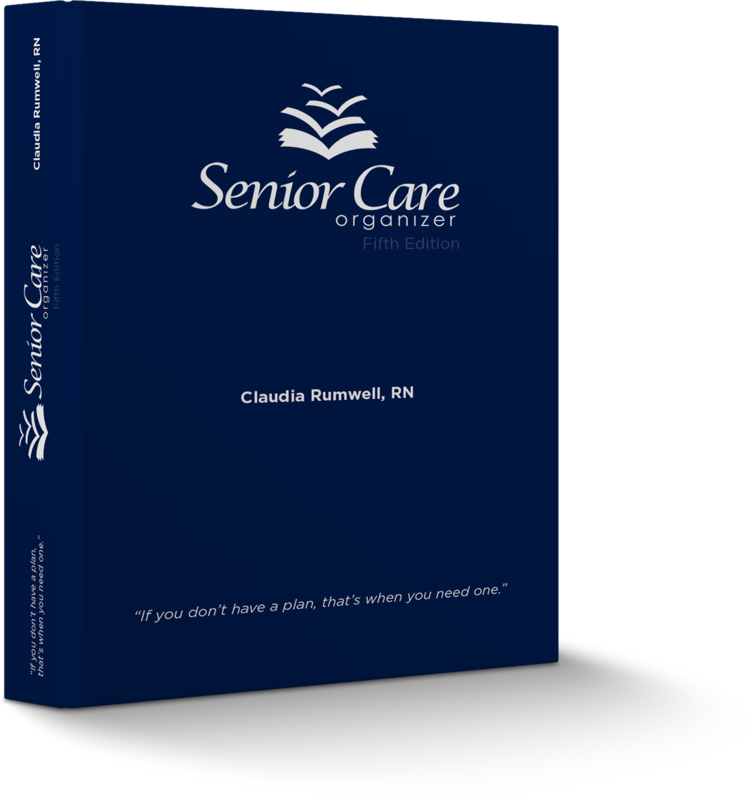 For More Information View "What’s Inside"
The Senior Care Organizer is a combination of organizational insights, caregiving and resource information for managing senior adult care or to set up one’s own plan for the future. It came together over the 12 years that Claudia cared for her parents as they moved from independent living to retirement, to assisted living and finally to extended care. Claudia also organizes Senior Care Workshops in addition to providing various types of assistance to seniors, as well as to adult children as they care for their aging parents.